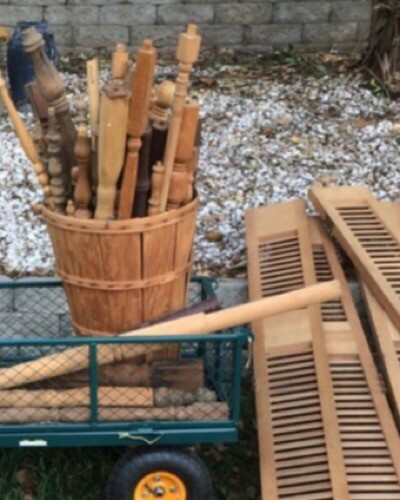 A few weeks back I gave you a sneak peep of one of the projects I was working on with a couple of the wood shutters that I had picked up at a garage sale last summer. 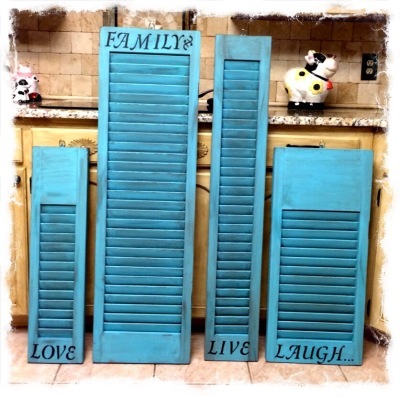 My repurposed wood shutters. It has taken me going on 7 months to get my family pictures hung because, since we moved into our new house we are always working on one project or another, remodeling the whole house. Getting rid of the whole dated 80’s look, green carpet, horrible wall paper, ugly mauve walls, and I can’t forget to mention the pink Formica counter tops. Well ever since I got the hallway walls painted I have wanted to get my family pictures hung, but I wanted to do something different other than just hanging pictures on the wall. 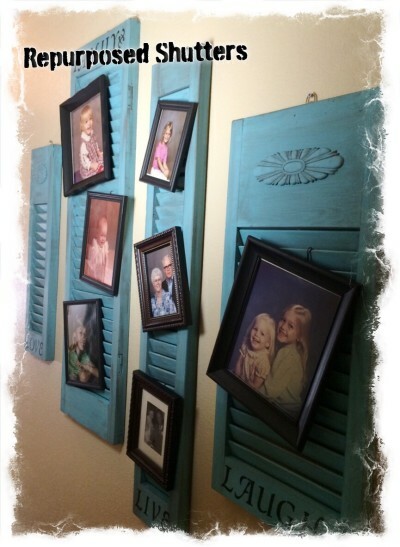 After I hit the jackpot at the garage sale with my wood shutters, searching the web, and Pinterest, I came up with the idea of repurposing the wood shutters into a family photo display. At first I was going to hang them sideways, but after I painted them and started playing around with them to see what would look best. I decided to leave them upright, and stenciled my words, and added a couple wooden embellishments. I staggered the shutters on the wall about 4” apart, and used sturdy wire to connect my frames to the shutters, and hung them at an angle. I still have a couple more pictures to add, but I need to redo a couple more frames. 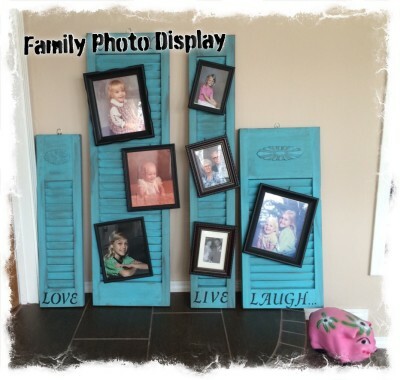 I just got a little anxious to show off my new repurposed shutter photo display, and decided to go ahead and take my pictures and write my post. I’m sorry about the pictures, I didn’t have very good lighting in the hallway, and I even brought in a couple more lamps for lighting and it’s still dark. But I wanted you to be able to see what they looked like hanging on the wall. 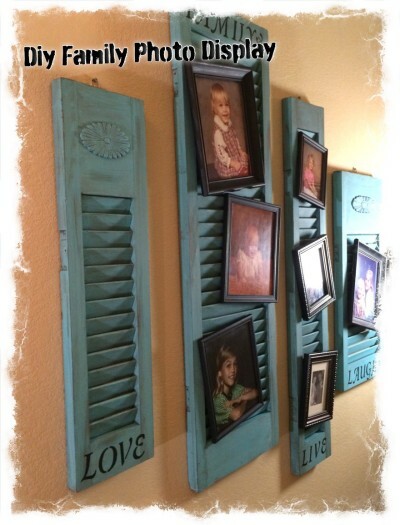 I love how they turned out, what do you think of my repurposed wood shutters photo display? I am going to do something different on the other wall. That post will be coming at a later date. Mila recently posted…Idea Box – Thursday Link Party! Hi Mila! Thank you, and thanks for the invite! Thank you Michelle! I wanted something different for displaying my photos, and I am happy how it turned out. It does make it easy to change the photos.